Laurel & Hardy in one of their funniest pictures! The Flying Deuces finds the iconic duo sweet-talked into enlisting in the French Foreign Legion while on vacation to Paris. Hilarious havoc & wild hijinks ensue when Stan & Ollie are shipped off to Morocco and create a comedic maelstrom when they attempt to leave. 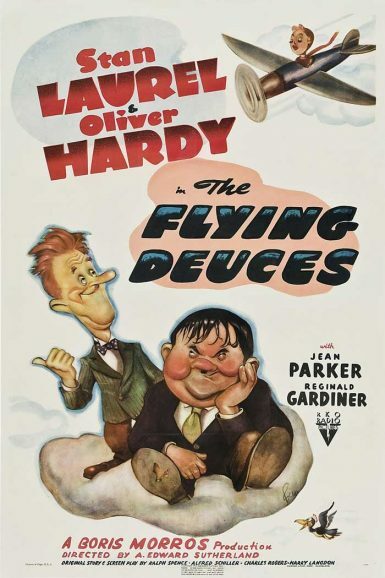 Directed by A. Edward Sunderland, The Flying Deuces remains one of Laurel & Hardy’s funniest later pictures. Jilted Ollie is suicidal when his romance ends on their Paris vacation, with Stan perfectly willing to join him jumping in the river. Just before they leap, they’re interrupted by a French Foreign Legionnaire who sweet talks them into enlisting as the perfect remedy for a broken heart. Thinking they’ll only have to stay until Ollie recovers his joie de vivre, they’re rudely awakened when they attempt to leave. Complicating matters, Ollie’s former lover happens to be married to the officer who advised them to sign up. Experience the classic tale of Beau Geste as you’ve never seen it before! 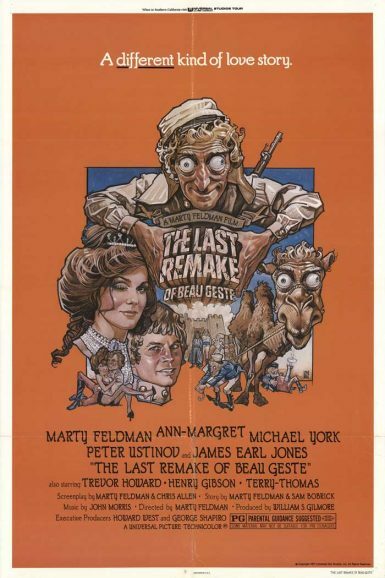 Marty Feldman (Young Frankenstein) makes his directorial debut with the absolutely absurd, positively Python-esque, The Last Remake of Beau Geste. When the coveted family sapphire is stolen by Beau (Michael York), who runs off to North Africa, it’s his “twin” brother Digby (Feldman) who’s put on trial. Once reunited, the Geste boys blunder through battle with the French Foreign Legion, followed closely behind by their greedy mother (Ann-Margret). Family bonds will be tested, deathbeds will be lain in, and lunch will be served!